Footlights Performing Arts CompanyFootlights Performing Arts Company (FPAC) is a competitive dance team that performs in the community and competes each Spring. Dancers are selected by audition, with auditions being held annually in July. 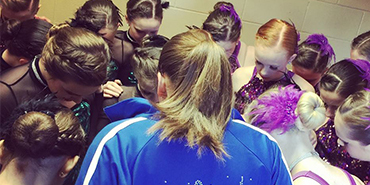 Members are placed according to age and ability level.Footlights has seven different competitive teams with varying dance styles and skill level. The mission of FPAC is to express the joy of dance while glorifying God to the community and audiences with excellence and dance and character. If you are interested in more information on our competitive teams, please email footlightsdancestudio@verizon.net or you can reach us at 972.355.8100.